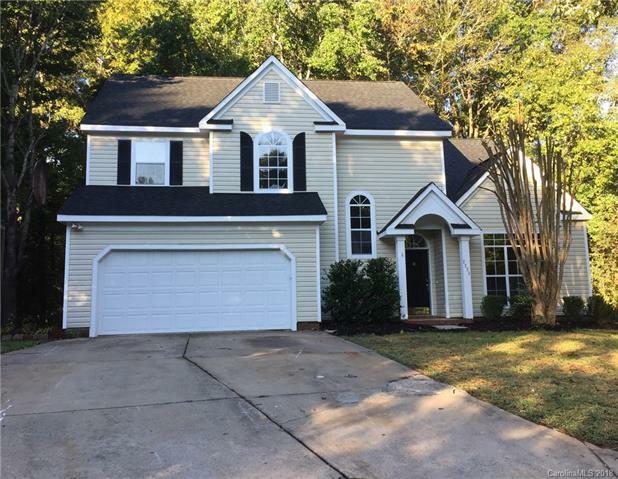 Move into the desirable Bradfield Farms subdivision and this totally remodeled home! House features new 30 year architectural roof shingles, new maintenance free vinyl exterior siding and trim, 2 new gas furnaces and 2 new central air conditioning systems, new interior and exterior painting, new carpeting, new upgraded laminate hardwood flooring, new stainless steel kitchen appliances and granite countertops, new gas water heater, plumbing and light fixtures, new rear wood deck and new garage door and opener. This house has it all! Great neighborhood with community pool and common amenities. House has plenty of room and a great floor plan with 9 to 14 foot ceilings downstairs. Enjoy this private cul-de-sac site with many hardwoods trees in the backyard. Offered by Peak Capital Properties Llc. Copyright 2019 Carolina Multiple Listing Services. All rights reserved.